Here is a preview of the game, and the components. Hope you like it. Last edited by madspeitersen on 25 Aug 2017, 16:52, edited 1 time in total. Thanks guys, looking forward to playing you soon! Looks cool! If you by any chance happen to pass by Aarhus at some point of time we're a couple of board gamers who would be happy to give it a try. Or else we'll just have to wait until it hits the shelves. @Daniel Thank you very much, we are happy that you like it. Unfortunatly we arent gonna be in Århus in the nearest future. But if you guys are in CPH just let us know and we can see about some Grunt Action. A proud moment for the little Grunt Army, the finished boxes and boards arrived a few days ago! We cant wait to get these out and about, cheers everyone! 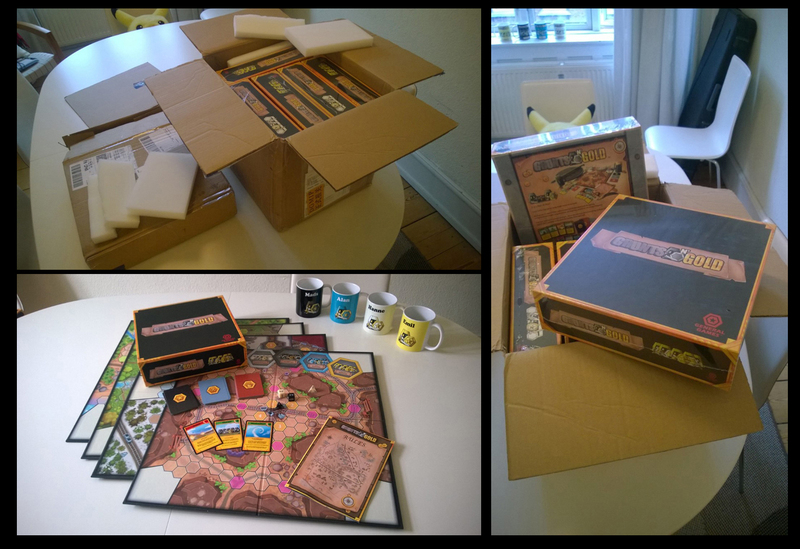 We have created a quick video of the unboxed game and all of the components. Here is the first gameplay video from the Canyon Map. Second Grunts N' Gold gameplay video!